Mum has been so absorbed lately. Her head is cloudy… she must be thinking too much. I keep calling “Hello Mummy!” and repeat it at least 10 – 20 times and she answers back but still… somehow she’s absent. Having said that, she’s still a very good Mum. I know she’s not so sure about it herself and feel guilty when she’s impatient with me, or when she had enough and speaks very loud. I don’t mind and usually recover quickly. And I’ve been squealing quite loud lately as well, so we’re just comparing voices. I have to admit, I have been very frustrated myself lately, so maybe Mum is getting it from me. I have noticed that what comes out of my mouth is not what I have been thinking and look into the questioning faces of people asking: “What are you saying?” Better even when they turn to Mum and Dad and ask them: “What does she mean?” speaking in 3rd person about me AS IF I’M NOT THERE?!? Really, I do speak clearly… at least from my point of view. If they don’t understand, they just need to read more books with me and I tell them what I see and then they can learn that ‘bimbam’ means penguin or ‘pee-pee’ is anything bird-like. It’s simple isn’t it? “She understands everything!” I hear them say in amazement. I really cannot say that about those adults!!! PS. Please, Hope, help calm Mum’s brain-go-mental-activity! 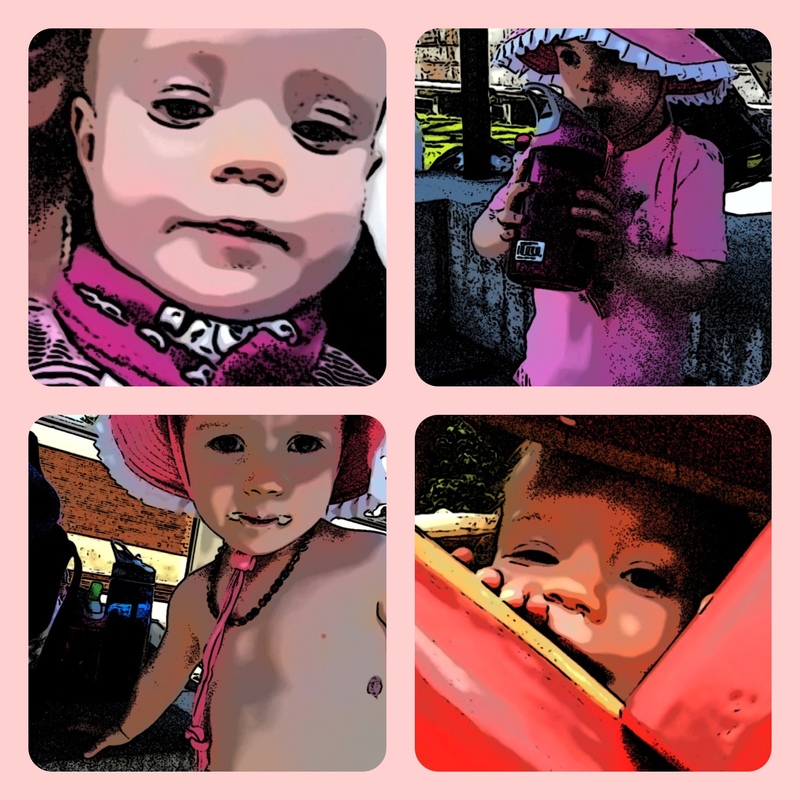 This entry was posted in family, milestones and tagged family, Father, mother. Bookmark the permalink.